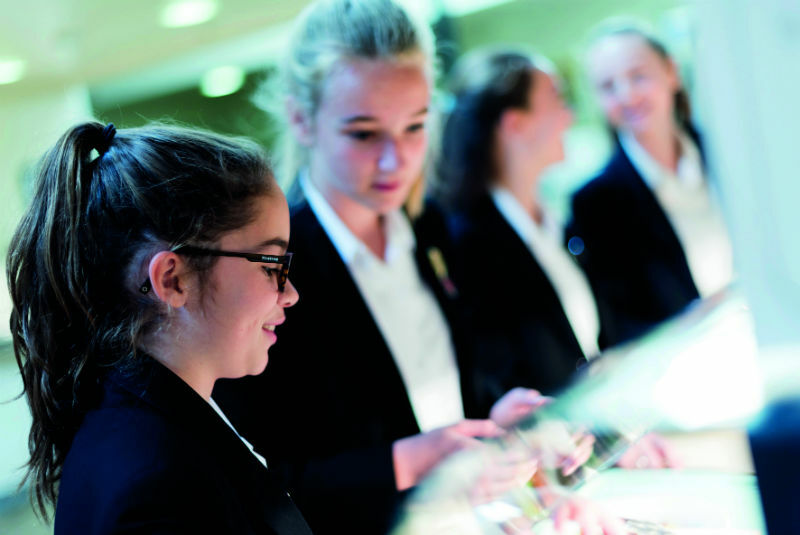 Why is catering important to school life? 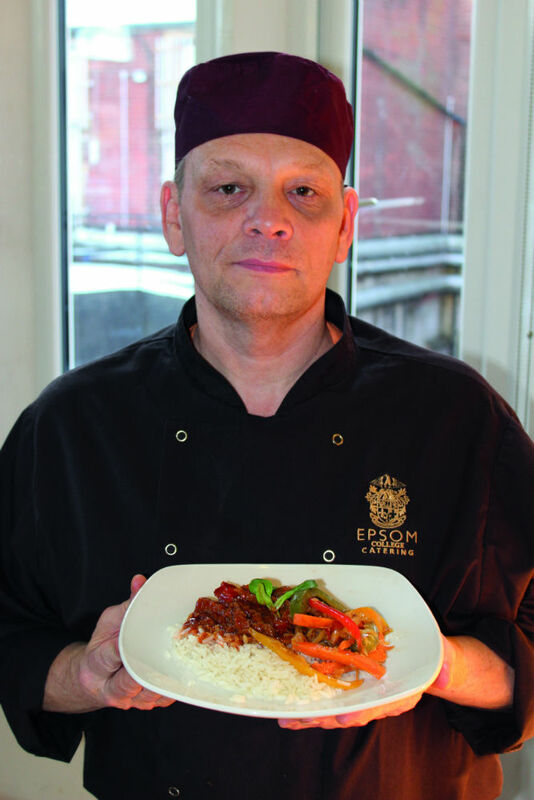 Bev Spencer: The catering department is a major part of a pupil’s life at Epsom College. We know that an army marches on its stomach, and offering our pupils healthy, fresh and well-balanced meals fuels them to work hard and to achieve their best. Chris Townsend: Good food is as important a contributor to children’s happiness as sleep, exercise and intellectual stimulation. Happy children can perform to their best both in and outside of the classroom. 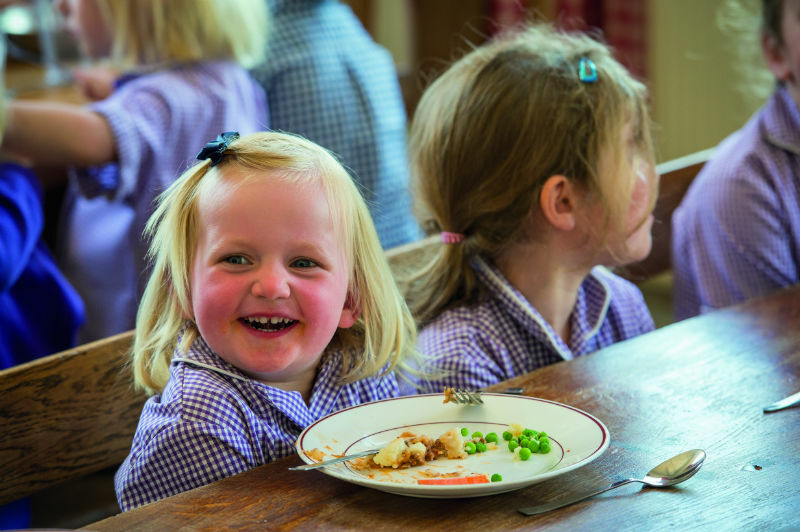 It is therefore vital that children are given healthy, nutritious and tasty food that fuels them for their busy Felsted days. This even includes a 9.00pm extra supper in the boarding houses for hungry, growing teenagers, which might include panini, wraps, sausage rolls or tasty yoghurts. Denise McGrenra: Catering at Haberdashers is not just about the food on the plate – it’s so much more. As the catering partner here we are passionate about educating the pupils around their food choices to support their growth, development and learning. We’re helping them to be healthy in every way and ensuring they can make informed decisions about their lifestyles. Food is fundamental to healthy minds and bodies and an important social aspect of school life too. We provide healthy and nutritious meals that power the boys through the day – they have a busy schedule and we have to make sure they are getting the right fuel to equip them for their educational journey. Nigel Lashbrook: Our catering team is an incredibly important part of life at Oakham – they play a vital role in feeding the minds, bodies and souls of Oakhamians. As a boarding school, food is an integral part of daily life – as it would be in the family home. Our long Sunday brunch is an example of just that – pupils can choose when they eat, just like they would at home. Some even choose to go in their pyjamas! Is catering provided in-house or outsourced at your school? Guy Ayling: Catering at Llandovery College is outsourced to Holroyd Howe. Key benefits of outsourcing has been: well balanced and varied nutritious menus, freshly cooked dishes with minimal frozen and convenience foods and improved food quality and presentation. NL: We have our own catering team at Oakham who cook 16,000 delicious meals every week, as well as 2,100 team teas and 500 packed lunches for school trips! Our Catering Manager, Liz Mapletoft, has been working at Oakham for over 25 years, and her 48-strong team have 442 years of collective experience. DM: Catering is outsourced to Chartwells Independent and our mission is crafting a lifelong love of food. We recognise the importance of a healthy and positive relationship with food. 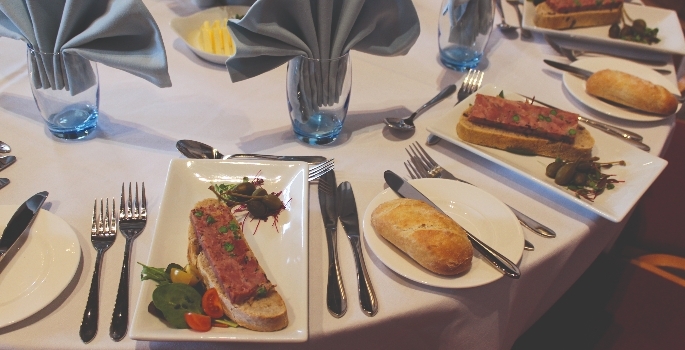 What have been the major developments in catering at your school in recent years? CT: In 2017, we started a Street Food Counter every Thursday and this was very well received with our pupils. So far, we have served urban dogs, chilli beef tacos and Turkish chicken kebab. We constantly strive to provide a greater range of choices for all diners, recognising that tastes differ with students coming from many different parts of the world. BS: An ever-changing school environment calls for constant evolution in the catering department. In September 2016, Epsom expanded and opened its doors to 65 11-year-old pupils in our new lower school. This expansion resulted in a review of our menus and routines to cater for a younger age group, with different nutritional needs. Our daily feeding had increased to a huge 2,200 meals a day – a serious operation! DM: We’ve introduced concepts such as the chef’s theatre station, which brings the kitchen into the dining room. Pupils can watch their next meal being prepared showing the integrity of the ingredients and showing our pupils how we make great food – as well as being very entertaining to watch! What pressure is the school under to provide healthy food for pupils? CT: The school is not under pressure to provide healthy food, but actively wants to do so. Healthy eating does not have to be just the avoidance of sugar; it is much more important to have a healthy and balanced diet. The odd treat can be part of a healthy diet, and we want to educate the students to be able to choose wisely, so that a good diet forms part of a healthy lifestyle that includes exercise and rest. 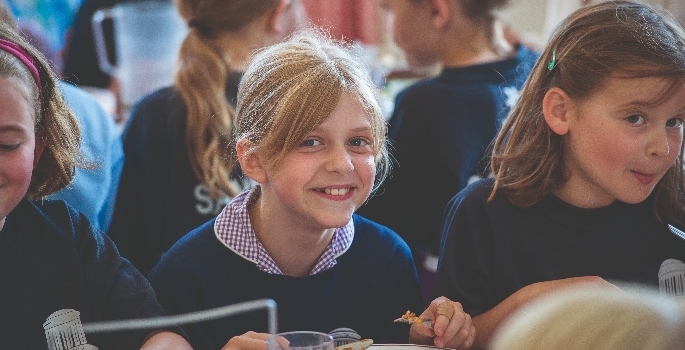 AS: The schools have previously employed a Nutritional Therapist for advice, and our Head Chef regularly attends conferences on nutrition to ensure the menus on offer are balanced and healthy. GA: A nutritionally balanced diet is vital to young people and good eating habits support healthy growth and development. This is especially relevant to those pupils who board at the school and therefore eat the majority of their meals on site. Are any ingredients grown onsite? DM: There are a number of apple trees around the campus which we used in the autumn to make desserts and chutneys and we do have plans to start a herb garden and to grow some of our own vegetables in the future. We’re currently creating a wild flower garden at the school to attract bees, which is part of our education and campaign with the school to save the bees. NL: We have our own herb garden and we have very close relations with local suppliers, where possible – including meat, dairy and free-range eggs from a local farm. All of our butchers are Red Tractor-approved and have full traceability. GA: The principles of harmony and sustainability form an integral theme of learning especially in the prep school. Pupils grow vegetables, fruit and herbs in the raised beds and garden on campus and the produce is used in the College kitchen. Salad leaves, onions, beetroot, potatoes and rhubarb are grown, to name but a few. The gardens are being expanded and an orchard has recently been planted in the grounds. AS: Just herbs. Although we have sheep, ducks and chickens in the school, the children treat them very much as pets and it would not be popular to eat them! What part do pupils/parents play when it comes to deciding menus? Does the school encourage feedback? NL: Our catering manager has recently completed a tour of all our boarding and day houses to personally speak with every student in the school. As well as being another opportunity for pupils to give their feedback, it gave Liz time to further connect with, and get to know, the students. BS: We meet with pupils termly to gain feedback. These pupils are elected by their houses, and become the voice of their peer groups. During this structured meeting we cover all mealtimes, snacks, team teas, packed lunches, and wider catering items such as the layout of the dining spaces. CT: In our prep school, we have a Parent Food Committee and in the senior school we have a Pupil Food Committee where representatives from all houses meet monthly with the deputy head, catering manager and chef. This committee has been very active in recent years and has contributed to much progress in terms of menu choices which cater for the wide ranges of tastes of different pupils. Did the school participate in Veganuary? What has been the response to such initiatives? GA: Although we did not participate in Veganuary this year we have significantly developed our vegetarian menu. We offer an ambient salad bar with bright, fresh, colourful and tasty raw and composite salads and this has been a great success with staff and pupils alike. DM: Vegan and vegetarian food plays a huge part of our everyday catering and we’re seeing this really grow in popularity. Therefore, we didn’t specifically celebrate this during January, as for us it’s part of the offer all year round. What future food trends do you anticipate? CT: Our predicted food trend for 2018 is South American food. This includes ceriche, arepas and empenadas. BS: We are witnessing growing numbers opting for vegetarian and vegan diets, with gluten- and lactose-free options also on the rise. DM: Children are more informed than ever before about what they’re eating and often take inspiration from the high street and general consumer trends. 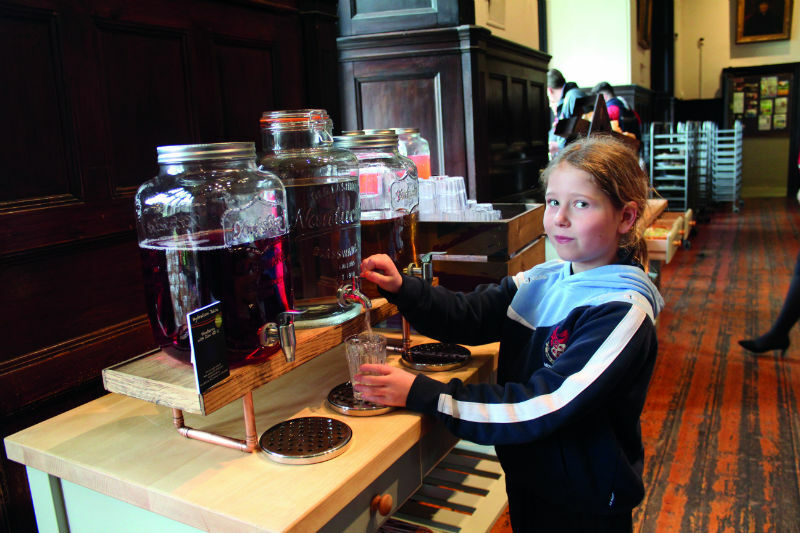 We’re seeing more children take an interest in the provenance and ethics of their food. 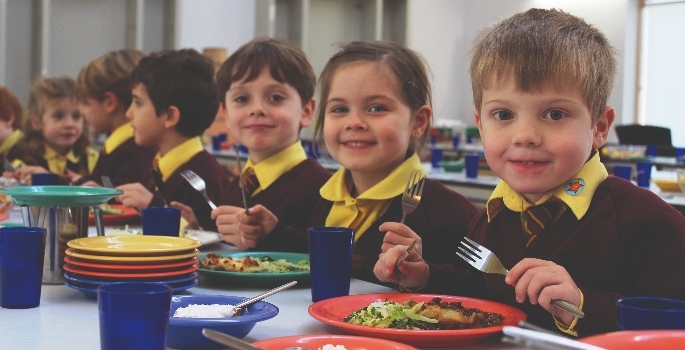 For example, we’re seeing more ‘flexitarians’ so we’re working to enhance vegan and veggie options at the school.